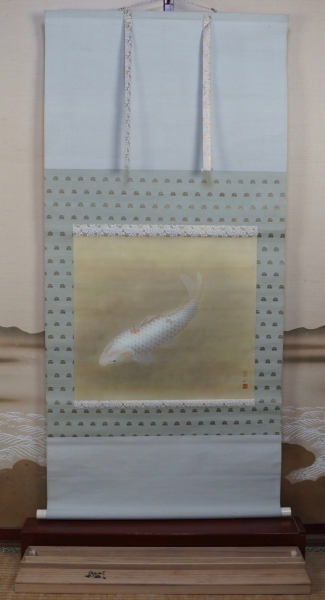 Japan Koi carps kakejiku scroll 1900s hand painted on silk Japan craft. 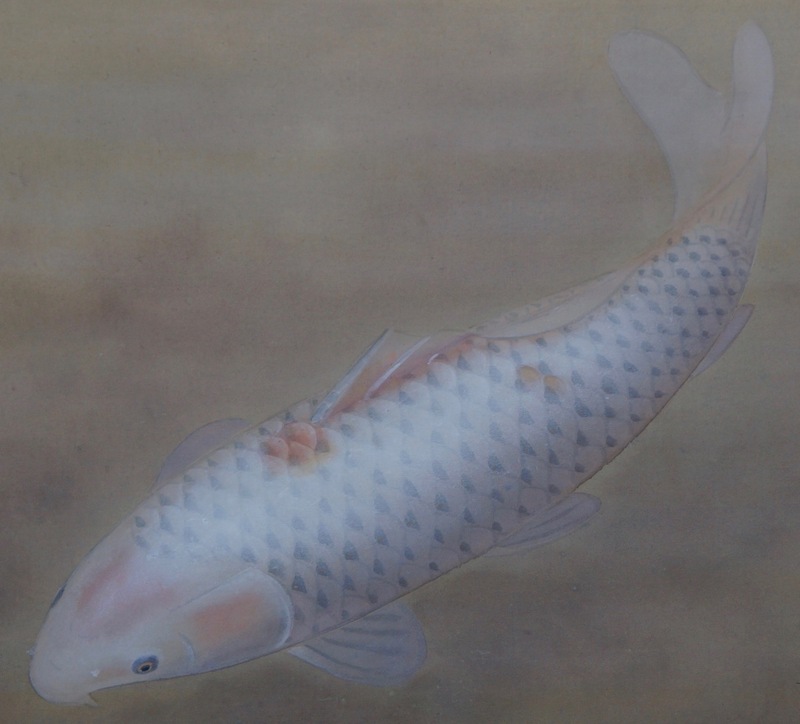 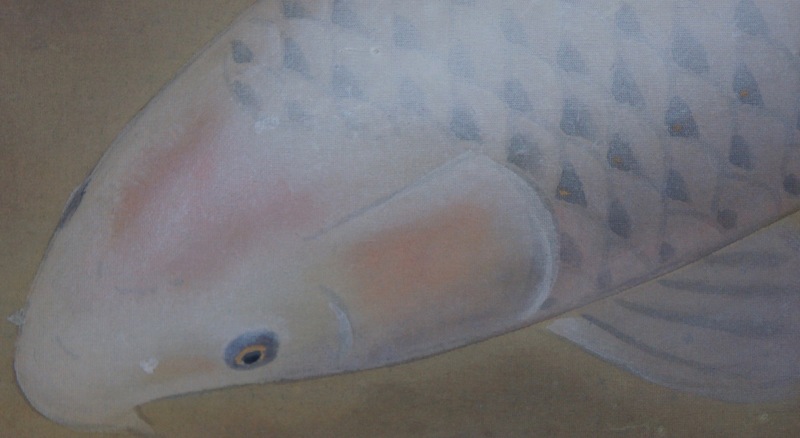 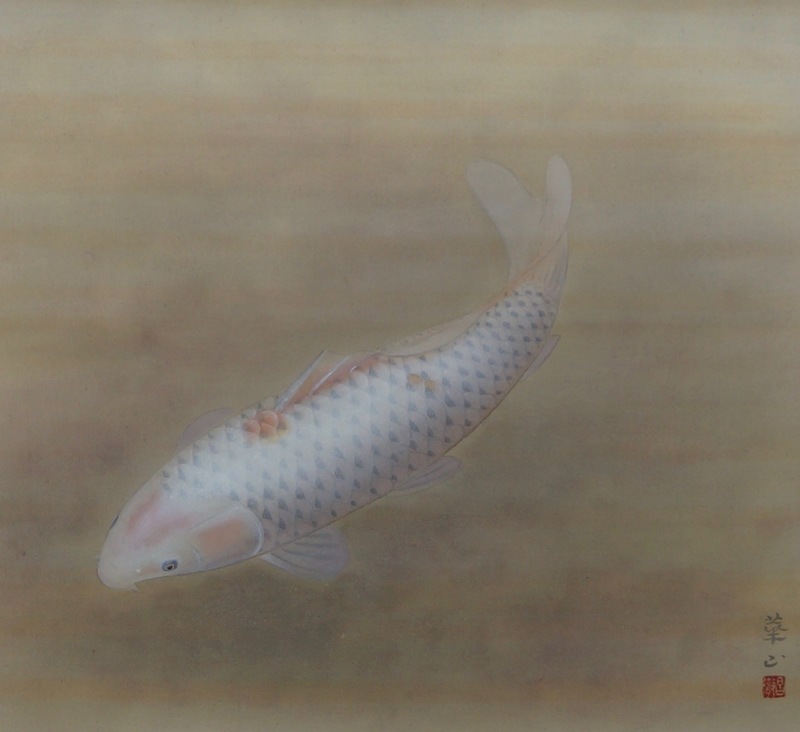 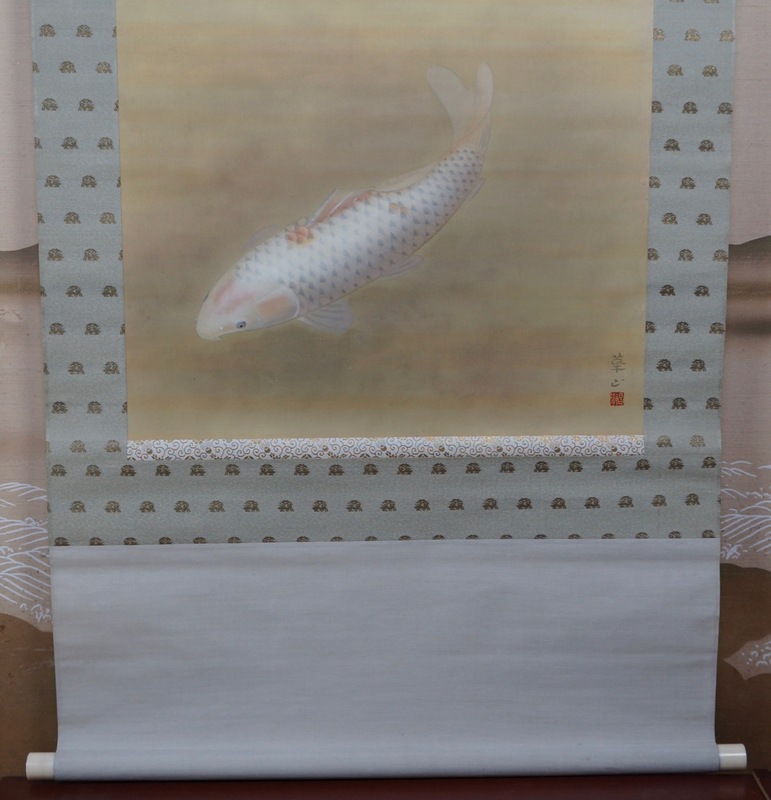 Very nice Japanese scroll with Koi carp floting in pond, very nice rendering of soft motion and light, painted on silk, signed by artist on lower write. 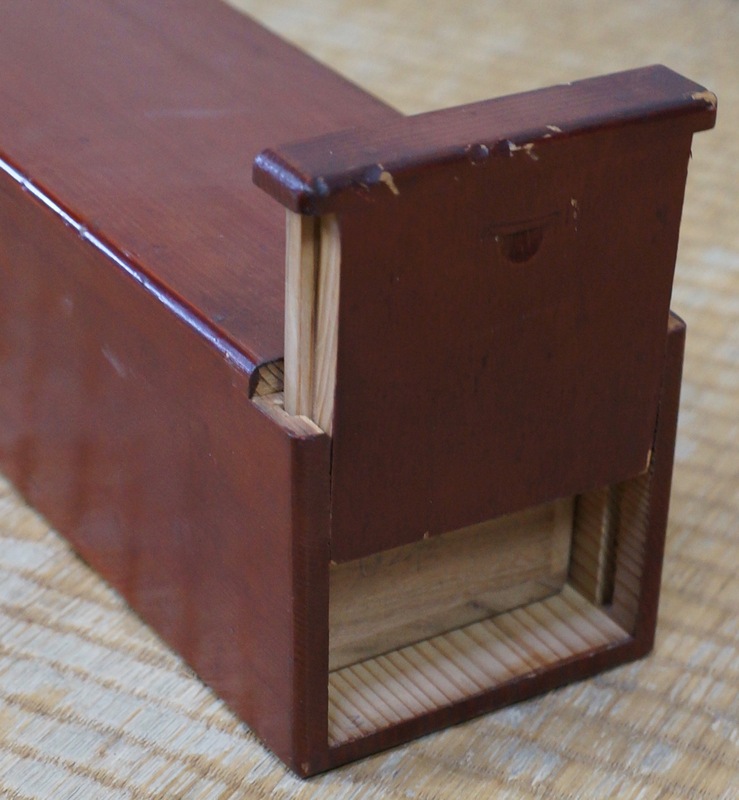 Well preserved with original doubel wood casing. 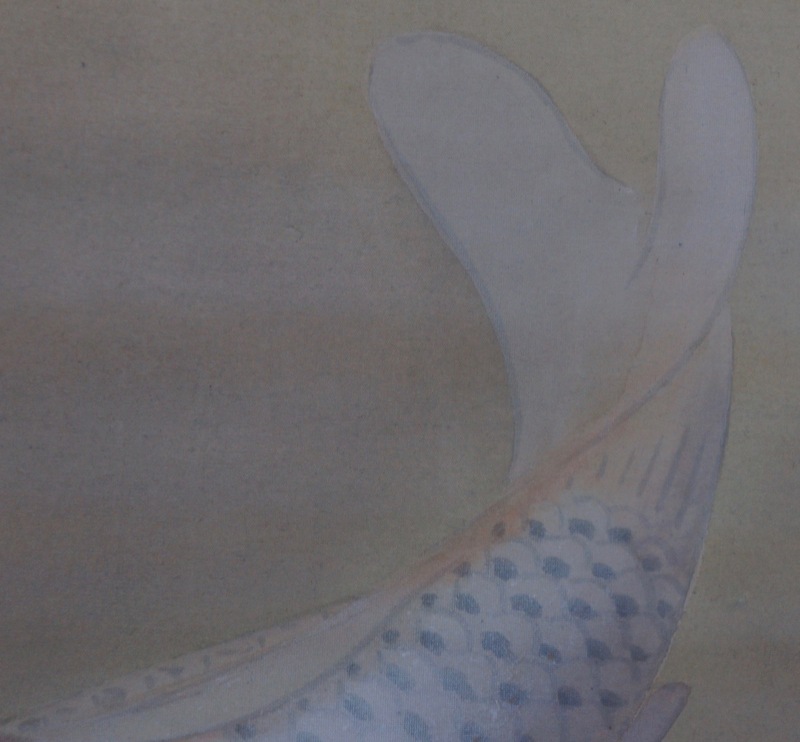 Conditions: good, light wear from time and usage, please see photos. 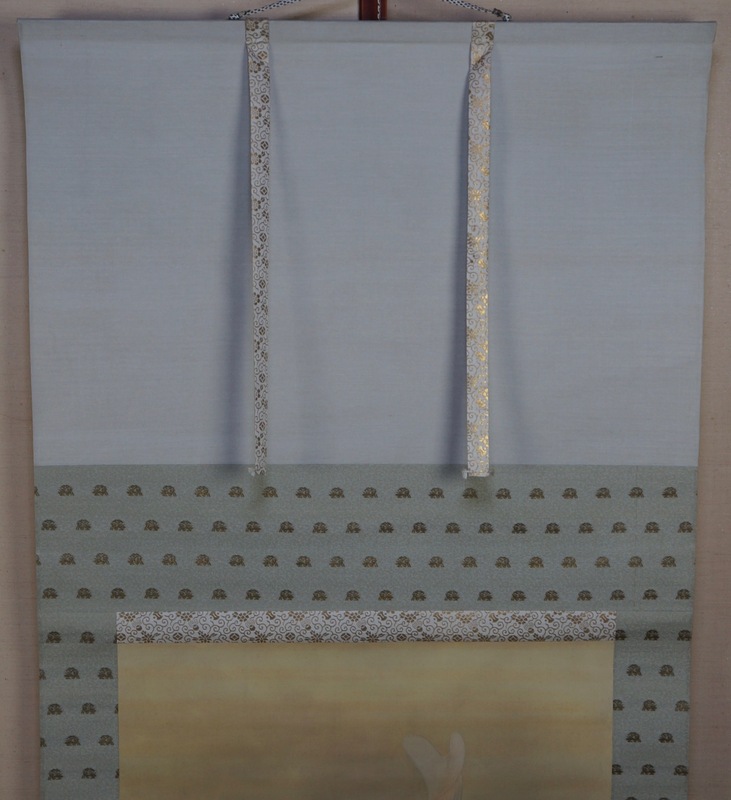 Materials: Washi paper, silk, wood, bone nobs.